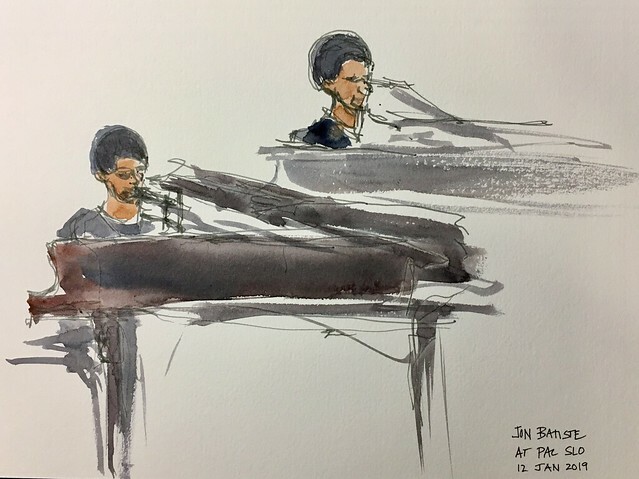 For the holidays, M. got me tickets to see musical virtuoso (and Late Show bandleader) Jon Batiste performing live at CalPoly, so we made a weekend out of it. 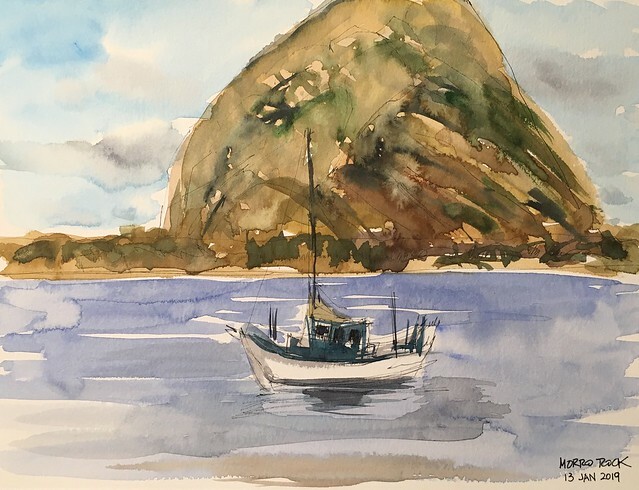 After meandering through wineries and lunching at Cass Wines, we made our way to Estero Inn at Morro Bay. Got there just in time to capture the sunset over Morro Rock. We proceeded to the town of San Luis Obispo, where we had dinner at Vegetable Butcher. Then it was time for the main event. What a treat! Jon Batiste started off on stage but then brought the music to the audience, playing his signature melodica. For a while he stood directly next to us. I had a hard time sketching him since it was dark, but I made a few attempts. 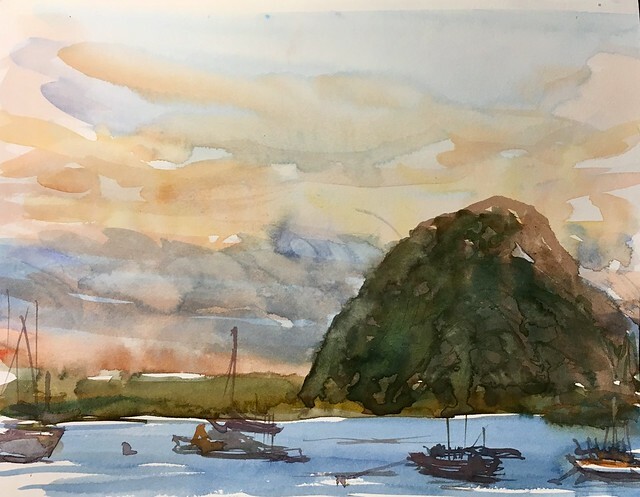 In the morning, I did another quick sketch of Morro Rock. Hard to fathom that this volcano remnant's been around for some 23 million years!